Add-on: Pizza Buffet Lunch – PUDDLE Style! Streamline your PUDDLE experience with lunch delivered right to the meeting rooms! Access to the lunchtime pizza buffet is $16 per person. Pizza buffet lunch includes all-you-can-eat pizza, salad, and a drink. 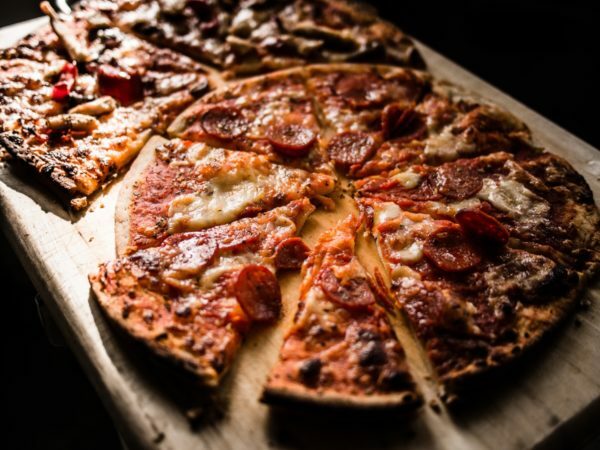 Please indicate your pizza preference for omnivore, vegetarian, or plain cheese pizza — this does not restrict you to ONLY eating that kind of pizza, but it will help us make sure everyone’s needs are met. If you have special dietary needs, contact us BEFORE paying for your lunch to ensure that your needs can be met. Buying a lunch separately costs $1 more per lunch to cover PayPal fees for the separate payment.